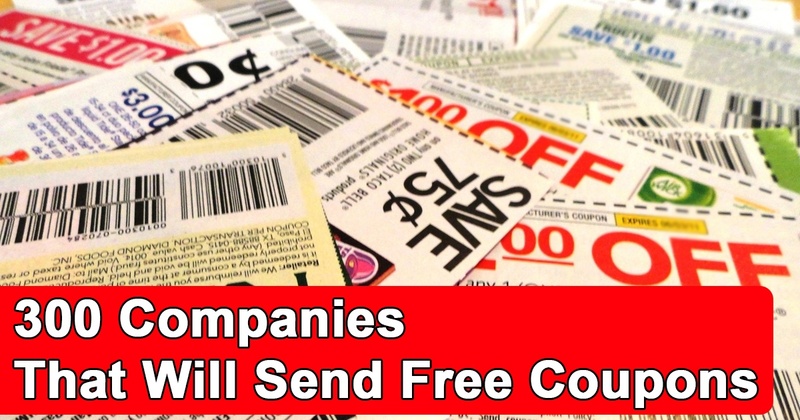 Coupons: These 300+ Companies Will Mail You Free Coupon! Did you know that hundreds of companies will send you free coupons by mail, just for asking? You can even get free coupon books by postal mail! Getting mailed coupons from companies is a great way to save money. Our big list shows you where to start! We have everything from the super popular Hobby Lobby coupon, Michaels coupon, Kohls coupon, JCPenney coupons, Bed Bath and Beyond coupon and plenty more! How can I ask companies to mail me coupons? Love a brand, or want to try it? Scroll through our list below, find the company or brand you want to try, and click the link. Find their coupons or use the contact us form on their website to request coupons mailed. Are you telling me these 300+ companies will all mail me coupons? Yes, and no. Not all will necessarily have coupons available at all times. Certainly, you should be polite when requesting. If you tell them if you love their product, or if you’d like to try it out, they may just send a sample as well. Naturally, be respectful and grateful. Of course, nothing is guaranteed. Being listed here does not insinuate that the company will give you free products or coupons, but they’ve been known to do so. Can I ask for Free Samples? If you request, then they may even send free samples and trial size products along with free coupons. Where can I find more free mailed coupons? In some situations, you can also get mailed coupons from the printable coupon sites too! These are rare nowadays, but if you see a link to opt to have it printed instead, simply click that and fill in your mailing address. They’ll send you free coupon books by postal mail. Where can I get more printable coupons? Huge List of Companies you can contact to get FREE high-value coupons. To get started, find the company you’d like to request from, and then click the blue underlined words (hyperlink) to go to their website. Hobby Lobby Coupon – no need to ask them to mail it, it’s right on their website here! JCPenney coupons – no need to ask them to mail it, it’s right on their website here! Kohls Coupon – no need to ask them to mail it, it’s right on their website here! Michaels Coupon – no need to ask them to mail it, it’s right on their website here! Know of any free coupon books by postal mail that we missed? Let us know in comments!